Bennett Rill - the "Real Deal"! 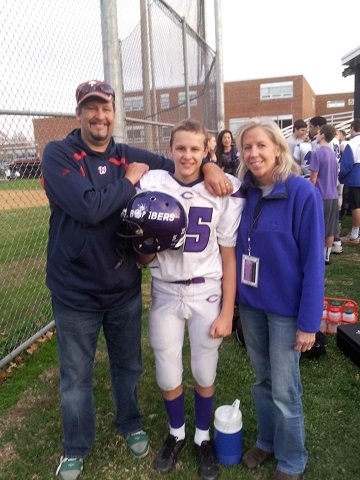 In June, 2013, Bennett Rill was killed in a tragic accident just a few days before his 15th Birthday. Bennett was a CYA kid through and through. He competed the same way in every CYA Sport that he participated in - with enthusiasm and a competitive spirit that mandated everyone around him had to step up their game. Several hundred people were in attendance at Bennett's Funeral Service verifying what a positive impact Bennett, and the entire Rill Family, has had on our community. In the words of so many folks who had a personal relationship with Bennett, he will forever be an inspiration to us all in the way he lived his life. Bennett was wise beyond his years and his passion for life, his friends, his family and his church will have a lasting impact on everyone who came in to contact with him. As Bennett's Minister so aptly pointed out, Bennett is and forever will be the "Real Deal". We are so proud to have had the opportunity to share in his life. If you look closely at the watermark on the border of the new CYA Website, you will see an image of Bennett as a CYA Football Player. We are grateful to Derick and Carolyn Rill for their blessing in using Bennett's image and honored to have Bennett with us in spirit.